There is so much to take into consideration before traveling: transportation, activities, lodging, etc. Getaways from Dallas to Jackson, MS, are easy to organize, especially if you have the right information. 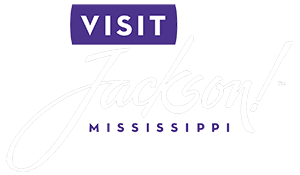 In this blog, we are going to tell you how to make your dream vacation happen, including: how to get to Jackson, what to do, and most importantly, where to stay! Discover all the best tips for planning getaways from Dallas and get ready to have a great time! There are two ways you can travel to Jackson, MS, from Dallas, TX. First of all, you can find a direct flight. The best itinerary is from Dallas/Ft. Worth (DFW) to Jackson/Vicksburg (JAN). A direct flight will take you about an hour and a half. Once you arrive in Jackson, MS, you can hop on a shuttle that will take you right downtown. Services include sedans, private vans, limousines, as well as share rides. Jackson airport also offers 24-hour handicap service. Or, you can take one of the many cabs available near the rental car lot. Tip: If you don’t mind driving a little, car rental companies include Hertz, Avis, Payless, and Enterprise. If you are planning one of those epic getaways from Dallas and want to go on a Southern road trip, you can always drive to Jackson, MS! Get on I-45 from South St. Paul Street and then follow I-20 E until you reach Access Road in Jackson, MS. Take Exit 96A from I-55 N.
How much time do you need? The drive from Dallas, TX, and Jackson, MS, takes approximately 6 hours. 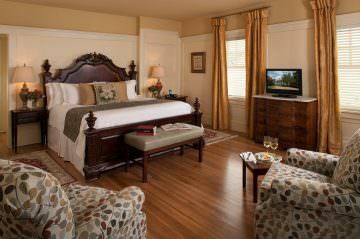 Get the ultimate Jackson experience and stay at the Historic Fairview Inn! Our luxurious accommodations are perfect for a romantic weekend, a solo-trip or a family adventure! Experience the charm and elegance of the South and enjoy our stunning amenities. Book our Magnolia Suite and relax in a serene and peaceful atmosphere. Take a hot bath in your private bathroom, snuggle up by the fireplace with a glass of wine in hand, and get a good night’s sleep in the cozy king bed. Wake up the next morning to the smell of coffee and come downstairs for a delicious homemade breakfast! Book your stay today at the Historic Fairview Inn! We can’t wait to meet you.